We call site showcase an internet site illustrative of your business, then the classic website that acts as an online brochure, with section about us, products, services and contacts. 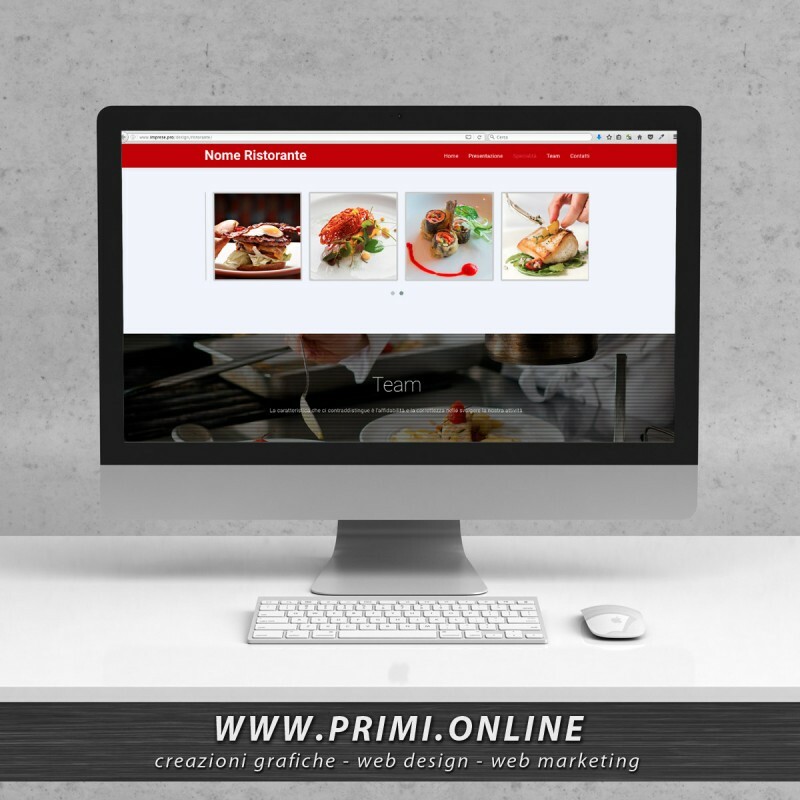 A modern aspect: no heavy animated introductions to load, a clean and modern graphic layout, no hidden pages difficult to reach, good loading speed of the sections, excellent navigability to entice the user to visit all the content (the more remains on your site the higher the probability that you contact you). Clear text and clearly visible images. Classic single-ply graphic structure with scrolling appearance of the sections, pre-set structure not custom-made but with colors, images and textual contents chosen by the client. Creation of the structure with a responsive system that adapts to all devices: smartphones, tablets and PC and MAC computers. Choice and improvement of textual content and photos oproposed by the client. Contact section and where we are with Google Map. Contact form for requesting information or booking by visitors. Insertion of icons and links to the social networks of the clitor. Basic search engine indexing, SEO optimization and keyword programming on all pages of the site. Any other functions requested by the customer have additional costs to be quoted separately. All these techniques are complex to learn, and studying them means taking time away from your real profession. Do not make the same mistake as entrepreneurs who save the site on their own or save the site from an amateur and then complain that the internet does not work, it is useless. Many other entrepreneurs, on the other hand, assume that it is enough to have Facebook, actually the most used tool on the face of the earth and in Italy it is Google, not having a site means not being available. Your competitors may have made the right choice and attract all their customers to them. We help you to shed light on all the fundamental aspects, so that your new showcase website becomes a powerful marketing tool to strengthen your brand, bring you new contacts, better loyalize your customers.